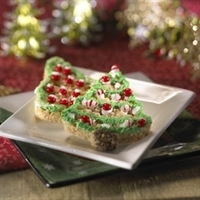 Kellogg's® Rice Krispies Treats® Christmas Trees,kids will love them.Go to Http://www.ricekrispies.com,for more great kid recipes. Using buttered spatula or waxed paper, press mixture evenly in 15 1/2 x 10 1/2 x 1-inch pan coated with cooking spray. Using 4-inch tree cookie cutter, cut into tree shapes. Decorate as desired with frosting and red cinnamon candies. This is just Great. I never thought to do this. The Grandkids will so enjoy helping me with these! Thanks of the recipe. 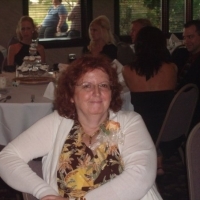 Like zanna's recipes? Never miss an upload!